You are here: Home / Latest Articles / Guardians / Environment / Odinism & The Environment – What Can Be Done? 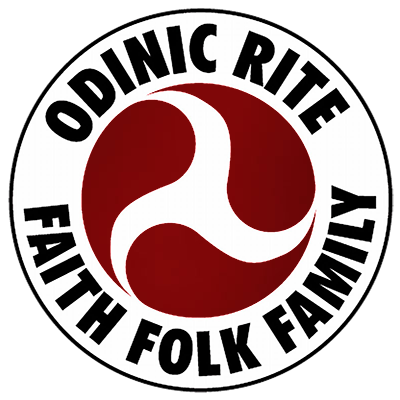 Odinism & The Environment – What Can Be Done? Midgard is in trouble, Mother Jorth is in a very bad way. The waters are polluted and the life within is being poisoned and hunted to extinction. The land is being raped and turned into deserts and dustbowls, over farmed and over developed. The Forests are being destroyed, systematically and ruthlessly, leaving countless animals without habitat and facing extinction. The air is being poisoned and degraded, holes being eaten into the very gas that protects Midgard from Sols radiation. The Aesir and Vanir must look at what we are doing and shake their heads in amazement at the mess we have made of our once beautiful land. Previous articles have discussed what is happening to Midgard and covered some of the causes of the environmental problems we face. This article is to try and bring to attention what alternatives we have and what we can do, as human beings, organisations and individuals. Fossil Fuels are basically ancient organic matter that has changed over time by compression within the earth, coal & oil / petroleum are the main fossil fuels we use. Before the 1800’s lighting was mostly produced from torches that burned animal fats. Whale oil soon became more popular as it burned cleaner and with less odour than animal fats. Thankfully this oil was too expensive to be used exclusively, other wise we may have had more species of whale made extinct. At the turn of the 1900’s a kerosene lamp was produced, again this was cleaner and odourless and cheaper. The oil boom really started in 1855 with the first oil well tapping in Ontario, eventually spreading, until in the 1930’s most of the wells, at least in the USA, were already tapped. The biggest problem with fossil fuels, besides global warming, is our dependence on them. Oil provides around 40% of Midgards energy needs, when it is used up and runs out our way of life will grind to a halt. The biggest source of air pollution is the burning of fossil fuels, reducing the amount of combustion products (smoke, ash etc) is critical to the future of mother Jorth and , consequently, us. The only way to do this is to find alternatives to fossil fuels. One of the more popular alternatives in development is battery powered electric vehicles. These are practically pollution free and as such are one of the best options for lowering emissions in polluted areas. One criticism of current electric vehicles in development is the limit to battery life, meaning only relatively short distances may be covered and speeds are relatively slow. But Cutting edge electrical technological research is developing batteries that can recharge in minutes instead of hours and run for longer distances. Should this become the norm for all road vehicles then electric power could become a hugely wide spread ‘clean’ fuel. Ethanol is another replacement being touted for fossil fuels, and indeed in Brazil it is used exclusively in motor vehicles, parts of the USA also have it blended with gasoline to help reduce emissions. But ethanol is a serious groundwater contaminant, acting as a solvent and slowing the breakdown of other contaminants, and as such is not a good replacement. Methanol is another possible choice as it offers greater air quality, is efficient and is cheap to produce, though safety should be of concern as it is readily absorbed into the skin and is toxic. These methods only really apply to automobiles, but what about other energy uses. One of the main sources of energy that is being hailed as the key to the health of Mother Jorth, especially by governments who will make a lot of money from them, is Nuclear energy. It is a clean and efficient, when running correctly, source of energy and it produces no greenhouse gasses. Unfortunately it does produce high level radioactive wastes and thermal pollution. Environmental groups are against nuclear power in favour of safer and cleaner alternatives such as wind, solar, geothermal and hydroelectric. One of the serious problems of nuclear power is the storage of the radioactive waste that is accumulated. The amount of waste is very small, about 30 tons per power station. Most of the waste is stored, securely, at the plant because there is nowhere else, legally, to put it. Nuclear waste is extremely dangerous and must be sealed and buried for centuries before the radioactivity disappears. There is also a question of safety at nuclear plants, with a history of accidents, one of the worst being the disaster at Chernobyl in 1986, the effects of which are still being felt today. Another danger is a complete meltdown which results in the so called China Syndrome, where the core heats up totally out of control and then melts through the earths crust and into the earths core seemingly ‘to china’. Really, despite assurances from government sources, Nuclear Energy is not a solution and should be opposed at every opportunity. Sunlight, due to the immense energy emitted by the sun, is a huge natural resource. The amount of solar energy Midgard receives from the sun is greater than worldwide energy demands though this can fluctuate with location, season and of course time of day. The energy of the sun is harvested by means of strategically placed Solar Panels, commonly made of Crystalline Silicon. Crystalline Silicon produces highly effective, stable solar cells and supply about 90% of the current market demand. There are two types of Crystalline Silicon in use in creating solar panels, these are Mono & Multicrystalline silicon. Of these Multicrystalline Silicon is the more effective, with laser grooved grid contacts which provide maximum light absorption and current gathering. On their own solar panels only have an efficiency of 15%, due to the fluctuations listed above, so mirrors and lenses are employed to focus direct light onto the cells, utilising heat sinks and active cell cooling to disperse the heat that is created. Most of these systems operate under single axis tracking, this means the mirror arrays follow the suns path through the sky while continuing to direct the light onto the cells. One of the biggest obstacles is the high cost of manufacturing the solar panels themselves, one remedy for this is the new technology of Thin Solar Cells. These are made of amorphous or polycrystalline materials (such as Cadmium Telluride, Gallium amongst others), these materials are only one micron thick and are highly absorbent and are much cheaper to produce, unfortunately these materials are also highly environmentally unfriendly. Solar energy does not only need to be on huge plant size scales, homes can use solar panels on their roofs to aid with energy within the home 50-100watt modules being required. Big city buildings are being designed in such a way to make maximum use of solar panels. This is certainly one of the best ways forward for clean, safe and renewable energy. The ISES (international solar energy society) has been pushing for more and more use of solar energy. A united nation organisation, it has some considerable clout and has been encouraging, with some success, big businesses to utilise solar energy. It presents and teaches the benefits of solar power and gathers data from existing plants. Collecting all this information takes a network of solar radiation monitoring sites. The main thing to remember with Solar Energy is the earth receives more solar energy from the sun in one hour than it can use in one year! Solar power is excellent, it is renewable, powerful and is non-polluting, and as such it is a great choice for much of our energy needs. The wind is another of Mother Jorth’s gifts which we can harness to provide clean energy. Wind is created by the sun, it is basically earths atmospheric circulation patterns which are heated and influenced by the sun. Another way in which the sun can help us! The wind has been utilised for centuries by our ancestors, powering ships across the sea, helping to discover new lands, and with windmills to grind grain into flour for bread. Today windmills have been altered by technology, for a different function, to generate electricity. Horizontal wind turbines are built high on a tower or off the coast at sea, to capture the greatest amount of wind energy, the height helps the turbines catch the faster and less turbulent wind. The blades themselves act much the same as a helicopter rotor blade or even the wing of an aeroplane. The amount of energy currently produced by wind farms is very small and due to the high number of turbines needed there has been concern by environmentalists about the impact these farms could have on the plant and animal life. Indeed there is evidence that the turbines off coasts have scared away all the local marine life, likely due to the resonant humming noise emitting from the turning of the rotors. Another form of green energy is Hydroelectric power, this is created by the very natural media of free flowing water. The two main ways of utilising this form of clean energy is giant turbines, turned by the flowing water and tidal diversion, where water is directed up and down pipes connected to turbines, as the flow is restricted it flows faster and faster spinning the turbines and generating the electricity. The biggest problems with this form of energy however is the impact on the environment, as dams need building, rivers get diverted, often flooding vast areas of natural habitat, wiping out animals in the process. As we have seen there are pro’s and con’s to most of the forms of green energy that we have available, technology is moving on though, and as the science is improved and refined these technological breakthroughs may become the ideal way to save our mother Jorth. Obviously the above is all things to be done on a grand scale, but we as individuals and groups can do plenty to help save the environment. Recycling, using less energy, using public transport, join groups and lobby politicians and government, write to MP’s with concerns. Any little thing done is beneficial to our Earth Mother. The worst thing anyone can do is nothing! Unfortunately so many of us do exactly that! Hail The Aesir and Vanir! Hail our Holy Mother Jorth! https://i2.wp.com/odinic-rite.org/main/wp-content/uploads/pollution.jpg?fit=956%2C363&ssl=1 363 956 Hengest http://odinic-rite.org/main/wp-content/uploads/2016/05/or-badge400-transp.png Hengest2008-11-11 17:20:522019-02-28 16:55:01Odinism & The Environment - What Can Be Done? Defining Normal: Parenting children with special needs from a Folkish perspective.